How to migrate host without having any down time? 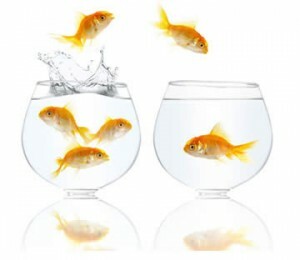 Migrate to a new host can be a complicated process. Follow our steps to ensure that your move is smooth and painless & completed your hosting migration. The first step is to join your new host. Make sure to NOT cancel with your old hosting provider, and do not tell them you will be canceling. Keep this a secret from your old host, or they could prematurely terminate your site and cause downtime. At this point, you should have hosting accounts with two hosting providers (the old and the new one). You will now migrate your entire site from the old host to the new one. This can be done by connecting to the old host’s FTP and downloading all your files, and then by connecting to the new host’s FTP and uploading all your files (maintain the same file and folder structure). If you choose to make “BiswasIT” your new host, we may transfer your entire site over free of charge! You must also backup any databases on the old host (contact the old host for instructions) and upload the backup files to the new host via FTP. You must then restore your databases from those backup files; this can be done via SSH or cPanel’s phpMyAdmin. Emails do not normally transfer, but you can archive your emails from the old host. You can accomplish this by making a POP3 connection to each email address; this way all the old emails are downloaded to your local computer. The new host will not have those old emails, but the new host will be able to get new emails. If you choose to make “BiswasIT” your new host, we may transfer your entire site (files and databases) over free of charge! If your old host used cPanel, we may be able to transfer emails as well. After you have a copy of your site on both hosting accounts, it is time to change your domain name’s DNS…. Once you have the correct DNS, go to the company where you purchased your domain name to make the change. If you purchased your domain name from your host, you usually need to ask them to make the DNS changes for you. You can tell them something similar to, “Hello. My domain with you is _____.___ ; please, change my domain name’s name servers to ns1._______.____ and ns2._______.____ .”If you bought your domain name from “BiswasIT”, we are more than happy to help you or even make the DNS changes for you.